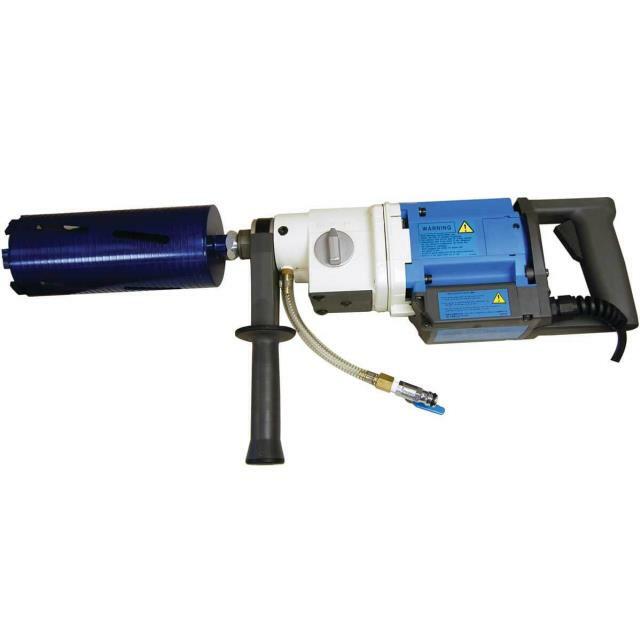 Hand held core drill recomended for wet drilling up to 3" or dry drilling up to 5"
Convient adjustable shoulder rest, three position hand grip, internal water feed in a carry case. Use with wet or dry core bits rented seperatly. * Please call us for any questions on our drill core diamond hand held rentals in Portland OR, Gresham OR, Milwaukee OR, and surrounding metro area.